We joyfully invite you on an 11 Day Inspirational Tour of Israel where we will celebrate 25 years of God's faithfulness to Firefall International. Pastor David from Myanmar and Minh from Vietnam will meet us in Tel Aviv. Our deep desire is to encounter Jesus afresh and be more than tourists by investing in the nation of Israel through prayer as we learn, reflect, worship and fellowship. Through our travels, we will gain a deeper understanding of and appreciation for the Bible. We serve a God who still speaks and is waiting to meet us there. Reserve your spot now and share this experience of a lifetime in the Holy Land! Overnight flight from the USA. We will land in Tel Aviv and travel up the coast a short way to lovely Netanya. Stroll the shores of the Mediterranean Sea and have a coffee in the city square. We will meet our wonderful guide Mickey at the welcome dinner. We travel along the coast to Caesarea, where the Gentiles first heard the good news from Peter and were baptized. Our next stop will be Mt. Carmel, where Elijah challenged King Ahab and the prophets of Baal...where the "fire fell." We will drive through the Armageddon Plain. After lunch at a local artisan farm, we will travel on to Nazareth and the Nazareth Village, an informative re-creation of biblical times with guides. Dinner and lodging for the next three nights will be on the Sea of Galilee in Tiberias. We will visit the northern site of Dan where the children of Israel fell to the depths of pagan worship. We will recall Jesus' question and Peter's confession at Caesarea Philippi. We will ascend the Golan Heights for a look into its strategic importance to the nation. Next we visit Bethsaida, location of several of Jesus' miracles. Our day concludes on the Mount of the Beatitudes overlooking the Sea of Galilee. We begin this day with the stunning views from Mt. Arbel. Nearby is Magdala, hometown of Mary Magdalene. The recent excavation of the First Century Synagogue makes Magdala a fascinating stop. In Capernaum we visit Peter's home and the ruins of an ancient synagogue. Next we tour the ancient boat museum, followed by an inspirational boat ride on the Sea of Galilee. We will close our day with the opportunity to be baptized in the Jordan River. We begin our day exploring Beit Shean, the most magnificent archaeological site in Israel. Next we drive through Jericho and on to Bethany Beyond the Jordan where Jesus was baptized by John the Baptist, where Elijah and Elisha crossed the Jordan and where Joshua led Israel into the Promised Land. We end our day at the Qumran Caves where a Bedouin shepherd boy discovered the Dead Sea Scrolls. Tonight we lodge near the Dead Sea. You will have an opportunity to float and utilize spa facilities. Our day begins with a cable car ride up to the fortress of Masada. We will hear the story of the famous zealots' stand. 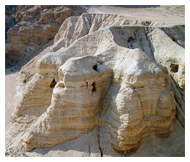 Afterwards we proceed to Ein Gedi, the oasis where King David hid from Saul and where God defeated the enemies of Israel through praise and worship led by King Jehoshaphat. We travel on to the Valley of Elah where David faced Goliath. Next, we ascend to Jerusalem and behold the city from the Mount of Olives. We visit nearby Bethlehem before checking into our hotel near the Damascus Gate in Jerusalem for the next four nights. We will worship this morning with the congregation of Christ Church Jerusalem, founded in 1849 near the Jaffa Gate. We will visit the Upper Room, the House of Caiaphas and the Southern Wall Excavation of the Temple. From the southern steps, Jesus entered the Temple Mount and drove the money changers out. From here, Peter preached on the Day of Pentecost. We end our day with a time of prayer at the Western Wall, the holiest site in the world for the Jewish people. We begin our day with an informative tour of the Western Wall Tunnel. Next we travel the Via Dolorosa, visit the Holy Sepulcher Church and the Israel Museum. We will remember Jesus' healing of the lame man by the Pools of Bethesda and enjoy the acoustics of nearby St. Ann's Church. We end our day at the Garden of Gethsemane. We greet the morning at the Garden Tomb in the area of Golgotha (place of the skull) where we will celebrate the resurrection with communion and a time of worship. Next we visit the new and interactive Friends of Zion Museum followed by the Six Day War Museum on Ammunition Hill to learn of modern day miracles for the Jewish nation. Yad Vashem, the Holocaust Museum, is our next venue for a needed reminder of how the Jews have suffered as a people. The rest of the day is free for shopping in Ben Yehuda market or the Old City, or challah bread baking at Jerusalem Prayer Center (see Nancy for a reserved time). The center is a very short walk from our hotel. Last night in Jerusalem. Early morning departure for Tel Aviv and our flight home.